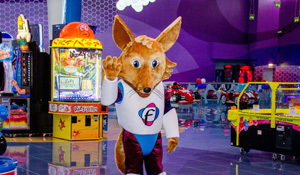 Fabyland is offering families a world of adventure that is complete with arcade games, soft play area, bumper car rides, trampoline, indoor climbing, Fabyland’s official mascot ‘Faby the Fox’ and much more. In addition to the thrilling rides and exciting entertainment, Fabyland also features several state of the art gaming machines including arcade games, skill games and even redemption games where players are rewarded for scoring big. Adults and children can even gather up the tickets they have won and use them to collect gifts and prizes at the end of the day. Fabyland first launched a 60,000 sq. feet location at Deerfields Mall, Al Bahia, Abu Dhabi in UAE in April 2017 followed by a second 75,000 sq. feet Fabyland venue in Dubai Festival City Mall, Dubai in June 2016. Fabyland is popular with both school trips and birthdays and also offers customized packages.